Day 92: 22 July. 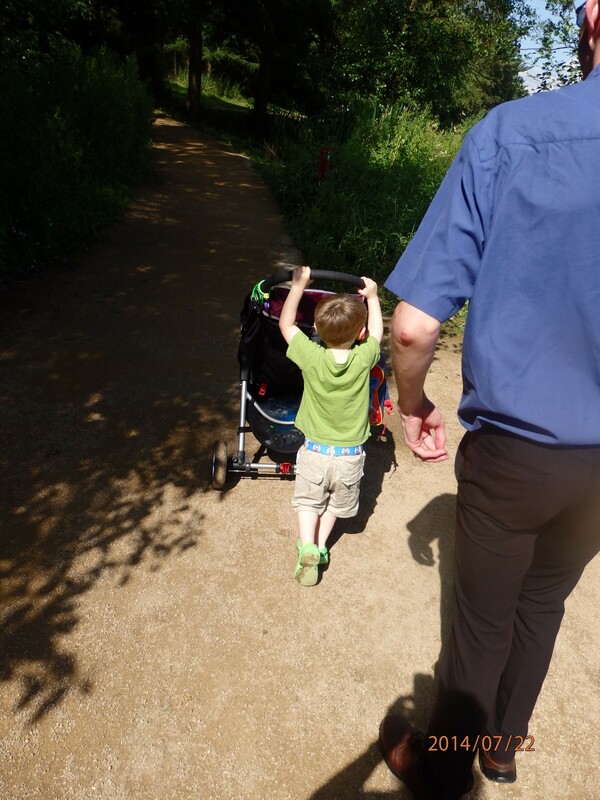 DH had morning off so we went for a walk – Sqk deciding buggy pushing fun. Day 93: 23 July. 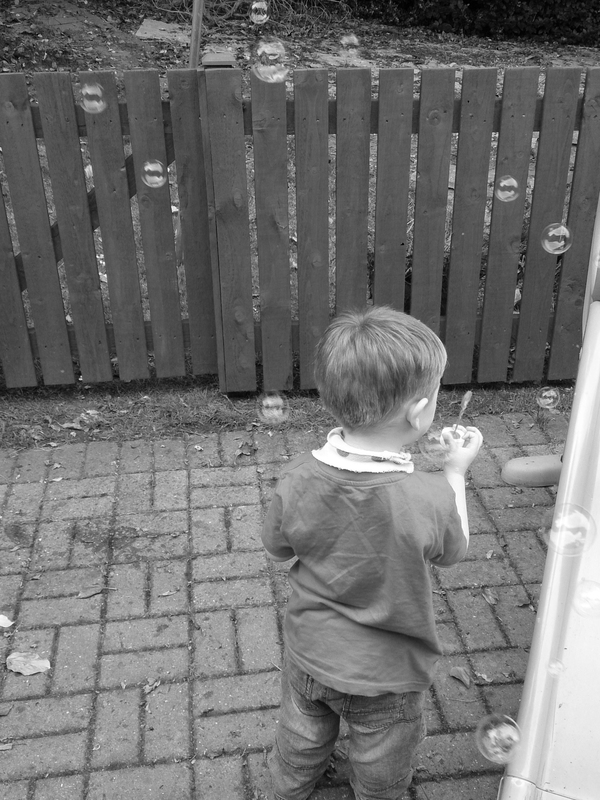 Sqk enjoying bubbles outside – he loves chasing them but also creating them. Day 94: 24 July. 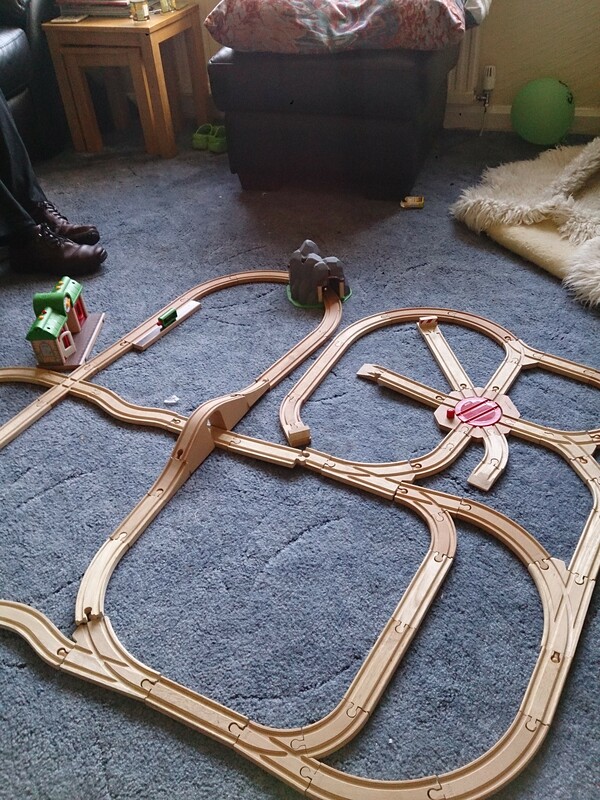 Bigger railway following Sqk’s birthday…. Day 95: 25 July. Sqk asleep which is a really good thing following first A&E visit today. Day 96: 26 July. 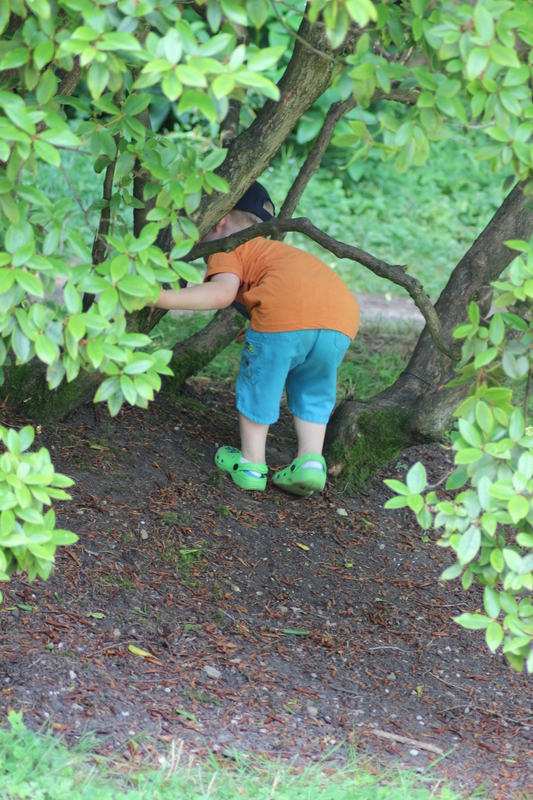 Sqk exploring trees at local stately home – thinking about climbing them. Day 97: 27 July. 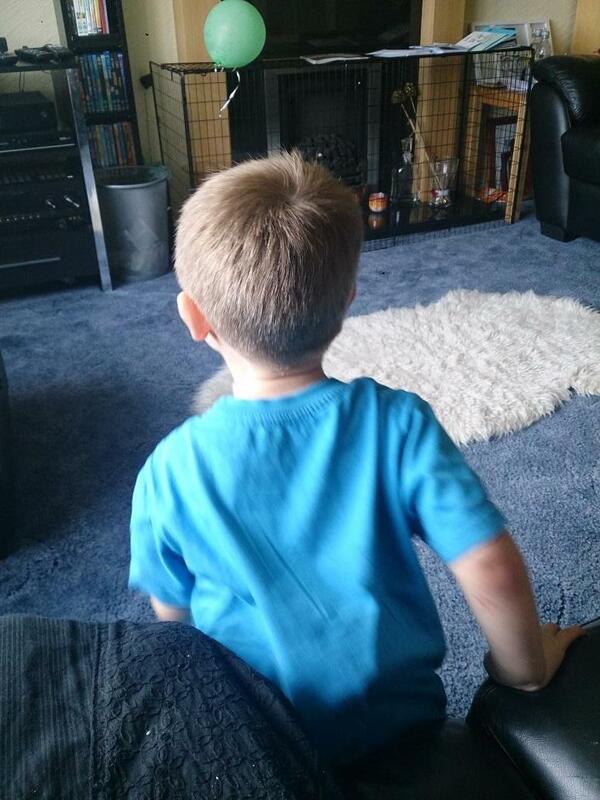 This wonderful little boy said ‘I love you Mummy’ for first time as I put him to bed. Day 98: 28 July. 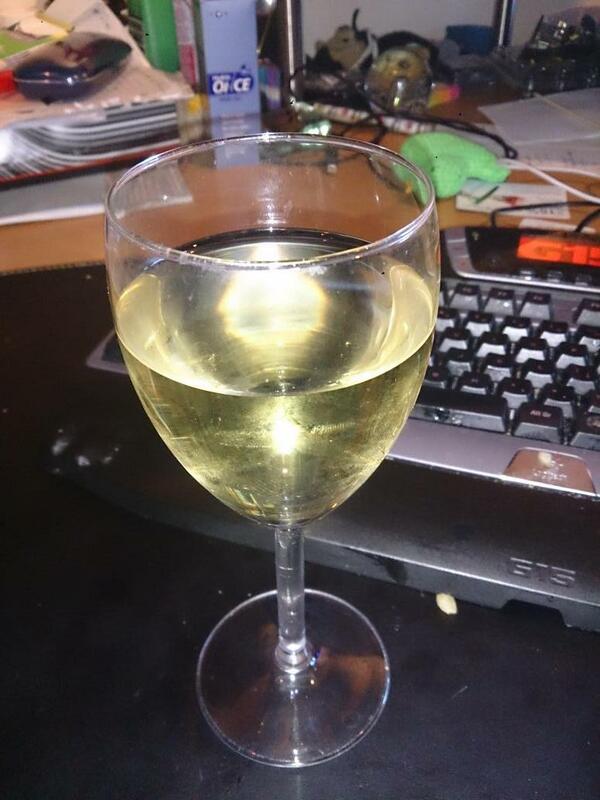 Needed this glass – still getting hang of being a working Mummy. Day 100: Sqk sat with me earlier playing by himself. Happier about Mummy being back at work. 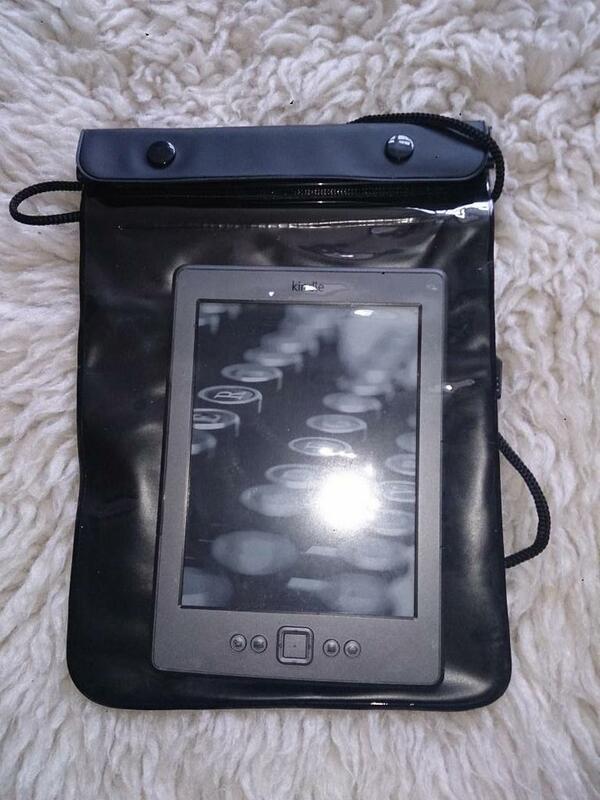 Previous Previous post: Back to the grindstone I go…..